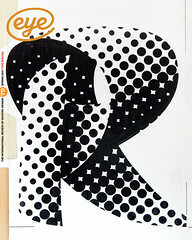 Les Mason art-directed The Epicurean, Australia’s first food and wine magazine, as an expressive gallery for adventurous graphic design. When Les Mason passed away in Istanbul in October 2009, aged 85, he was attending an AGI Conference, his fervour for design and thirst for knowledge undiminished. An imposing individual both intellectually and physically, the American-born Mason is widely regarded as Australian graphic design’s most significant figure. Feared and admired by colleagues and clients alike for his candour and unbending approach, Mason cut a swathe through an industry inhibited by British manners when he arrived in Melbourne from California at the start of the 1960s. After a brief period with ad agency USP Benson, he set up Les Mason Graphic Design in 1962. The studio flourished and he quickly acquired high-profile clients and a stream of award-winning projects, but it was his long stint as art director of Epicurean, Australia’s first food and wine magazine, that many regard as his defining work. Under the guidance of its editor and founder Alan Holdsworth, Epicurean played a significant evolutionary role in shaping what is now widely recognised as a vibrant and coherent Australian food and wine culture. Holdsworth’s adroit stewardship fostered some of the country’s finest culinary writers but his appointment of Mason as the magazine’s inaugural art director proved a most prescient decision. Over a thirteen-year period, Mason and his collaborators designed 77 issues of Epicurean. Each was imbued with a spirit of invention and uninhibited joie de vivre, an astonishing achievement given the length of time, sameness of subject matter and lack of funds. It is also worth remembering that this was the time of the drawing board, of bromides and paste-up, not the hard drive. The low budget lead to a prolific use of materials and found objects; Mason treated each Epicurean cover as a 215mm × 275mm canvas on which his own artistic interests and influences found form. His extensive knowledge of art covered such sources as Dada, Arte Povera, geometric abstraction, Colour Field painting, Pop art and Op art. The impact of these passions is conspicuous in the multitude of original artworks Mason created for the magazine, rendered in full-colour covers and largely monotone editorial pages. 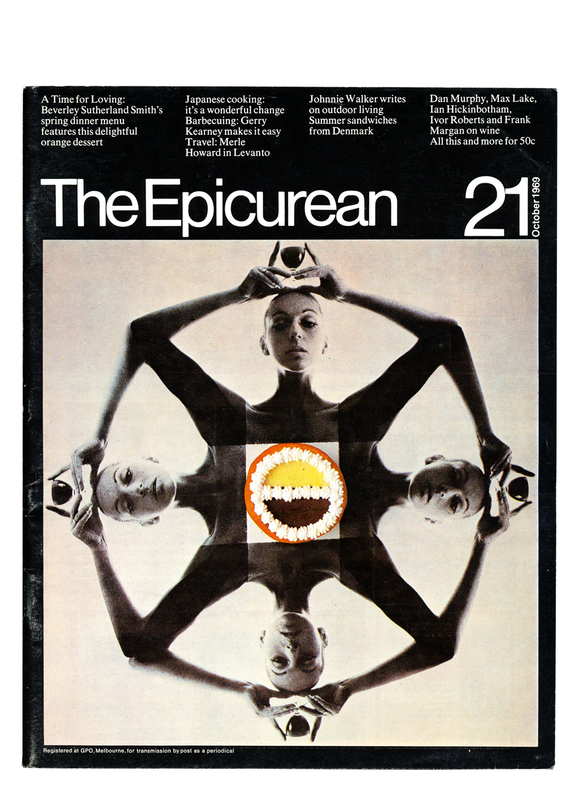 Typographically, Epicurean’s masthead was in a constant state of flux, deploying all manner of exotic display faces, in sharp contrast to the conventions of magazine title design, where consistency is paramount. After a day dealing with galleys of Helvetica for corporate clients such as Philip Morris, Epicurean’s eccentric challenges must have been a welcome diversion. The internal pages of the magazine seem positively sedate in comparison to the cover’s fireworks, with a conventional grid and consistent use of Times for body copy from issue 7 onwards. Such pragmatism probably reflects the realities of delivering a bi-monthly magazine to tight deadlines. The contents spread, however, was also given special attention. Though the covers and internal pages were rarely linked by a unified identity, they shared a common spirit. Mason was an enthusiastic and talented photographer, and his office incorporated a photography studio at a time when the lines between professions were clearly drawn, another example of his shape-shifting unorthodoxy. His talented and versatile staff would be called upon to assist in any manner of unexpected ways, from the conventional (photography and illustration) to the surreal (animal wrangling). Their endeavour gained an international reputation, with features in international design journals such as IDEA, Graphis and Gebrauchsgraphik. The role of Holdsworth as facilitator for Mason’s experiments cannot be understated. Writing of the moment they met (in Ken Cato’s book, First Choice, 1989), Mason hints at the chemistry that was a key element in their successful partnership: ‘It is rare in a designer’s life to feel as if he is making some sort of contribution to society or his own life. A groundbreaking exhibition of paintings from Epicurean was held at Melbourne’s Realities Gallery in 1974. By placing the ephemeral and marginalised world of magazine graphics within the context of the art gallery, Mason again blurred the lines between art and design. Holdsworth died in 1977 and, though the magazine continued in circulation until the early 1980s, Mason designed his final Epicurean in 1979. In the wake of Mason’s recent death, and given the lack of published information about him, the few remaining copies of Epicurean have become valuable artefacts – vital evidence of a remarkable body of work by a charismatic giant of Australian graphic design.